Editor’s Note: Rev. Philip Tanner is a committed ‘Gleek,’ and was, like all the fans and admirers of the show, devastated by the death of Cory Monteith, who played Finn Hudson, the quarterback-turned-glee club singer at the center of the show. Finn Hudson’s death was written into the show, and “The Quarterback,” which aired on Thursday, October 10, was a tribute both to Monteith and the character he created. The Glee kids mourn the loss of both Finn Hudson and the actor who played him, Cory Monteith. 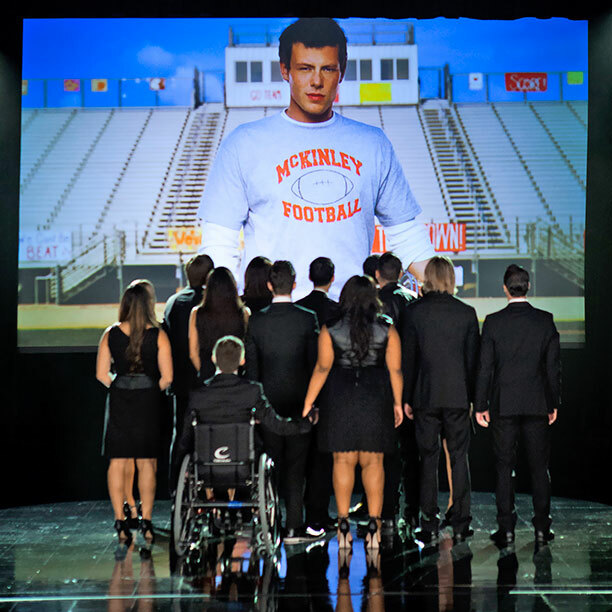 “The Quarterback” begins with “Seasons of Love” from Rent, offered in stand-alone format with no arc to connect it to the ongoing story of Glee. Do you measure a year by five hundred twenty five thousand six hundred minutes, or do you measure it by love? Jonathan Larson, the writer of Rent, died suddenly the night before Rent opened off-Broadway; the parallel with Cory Monteith is obvious. The creators of Glee avoided salaciousness; we never find out how Finn died. We get no funeral scene. It is en medias res, par excellence. The story, such as it is, is a series of disconnected vignettes showing how the characters struggle with his death. This episode is true to the show’s approach to characterization: we know Kurt as the “gay boy” but what matters is that Finn and Kurt were stepbrothers. As usual for Glee, there is a focus on stereotype – gay stepbrother wrapping quarterback’s letterman jacket around himself since the quarterback can no longer protect him. But, in a unexpected turn, the scene morphs into devastating grief as the quarterback’s mother asks THE question: How do you breathe after burying your child? One cannot help but think of the actor’s parents; we easily imagine this conversation in Monteith’s actual home. The veil between fiction and reality grows porous. Kurt Hummel, played by actor Chris Colfer. The episode is replete with stark devastation. The token Latina, Santana Lopez, tries – and fails – to grieve with (of all things) a country song? Really? And just to remind us that it is not a “just say no to drugs” polemic, we find ourselves listening to Santana and Kurt struggling to find solace in the idea that Finn certainly had secrets but that secrets no longer matter. Yet again, the show’s creators reach through the television to remind us that yes, there is a time to examine Monteith’s death in the terms of drug issues but not yet: grieve first. Let our grief have its way with us. Scream, do an “ugly cry” – do whatever we need to feel our feelings instead of just running away. We are even treated to Puck, one of the badass football players, expressing his grief with acoustic Springsteen. And oh how the quarterback’s best friend delivers! Major kudos to the camera work during this number: there are several gentle pans over the singer with the drummer’s empty set in the background. This was brilliance that could easily be missed unless one followed the show from the beginning (before being a singer, Finn was a drummer – just like Cory Monteith). The veil between fiction and reality becomes see-through. And then there is Sue Sylvester. Ah yes, Sue – the principal who began as the scary cheerleading coach – played by Jane Lynch. Sue Sylvester, crying? Or was it Jane Lynch caught off-guard? It was both. The words of Sue/Jane plant seeds of the disturbing theological conversations we find around death. Sue/Jane makes a boldly contrarian statement: there is no lesson here; there is no happy ending. He’s just gone; it’s all so pointless. And then comes one of the most haunting things I have ever seen on television. The quarterback’s girlfriend appears, fully three-fourths through the episode. It takes even the fearless Glee universe this long to get up the guts. “Nobody treat me with kid-gloves; I don’t know what to say either.” Was that Rachel or was it Lea? Again, a casual viewer could miss the deep layering in these scenes. To put it simply: Rachel (the character played by Lea Michele) had a complicated life with Finn (the character played by Cory Monteith) but in the end she knew that he was “her person.” In real life, Michele and Monteith were a couple and were clearly on the way to marriage. The veil between fiction and reality is completely torn apart. The Rachel-scene takes the emotional devastation of “The Quarterback” to a level that one must see to believe. Rachel sings Adele’s remake of the latter-day Bob Dylan song “Make You Feel My Love.” The words speak autobiographically but their power is in their details. We see Rachel’s Finn-necklace but we know that Lea Michele was wearing her Cory-necklace under her shirt while filming. When filming these scenes, the cast and crew repeatedly broke down in tears; several of those breakdowns appear in the final edit. As Rachel places her hand on her chest it is not Rachel and the Finn-necklace; it is Lea and the Cory-necklace. How did they ever get through filming this? To be clear, I think Glee is a sad shadow of its former self and its recent seasons pale next to its early glory – but this episode stands alone. Was it great? Perhaps, but its raw honesty is undeniable. I want to dismiss it as just another example of the media-bourgeoisie lording over the proletariat’s emotional vulnerability, but I just can’t. There is a lot of emotionally manipulative pacing, but it works. Cory Monteith was talented but troubled and his demons eventually killed him. The final scene of the episode – focusing on Glee club teacher Will Schuester played by Matthew Morrison – reminds us of something that religious leaders must remember: those who lead when others fall apart often pay dearly. We must find support. To be clear, “The Quarterback” is not perfect. 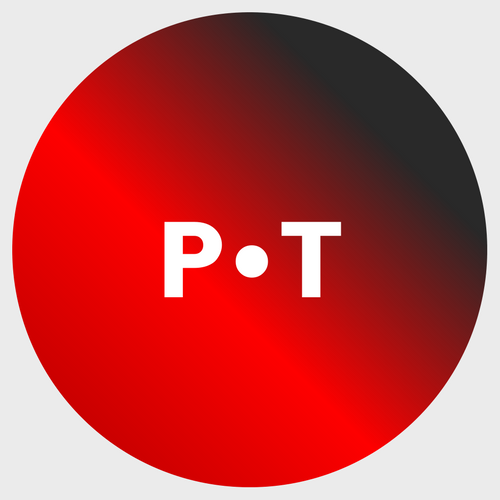 It tries – and fails – so very hard to give us the illusion of standard Glee: a mélange of musical styles that hits hard but never goes deep enough. It even tries to be silly at times, but it cannot avoid the reality of what the show’s cast and crew was dealing with as they filmed. “The Quarterback” was a labor of love. It happened because they needed to do something with Finn’s absence, but the story was only told because Lea Michele informed the world that she needed to do it for Cory Monteith. Let us remember “The Quarterback” for what it was: a farewell to a gifted young man whose demons took him from us far too young. May he rest in peace. Rev. Philip Tanner, M.Ed., is an ordinand of the Progressive Christian Alliance. He is currently in his final year of divinity school at Pacific School of Religion, in Berkeley, CA. In his work in ministry, he hopes to blend high-church Anglicanism with born-again Pentecostalism, with a queer twist looking toward popular culture.